Salvador Dali was a Spanish artist who was a leading figure of the Surrealism art movement and one of the most famous artists of the 20th century. Dali showed signs of his artistic talent from an early age but at the same time he developed into an eccentric and self-centered individual. He had a close relationship with his mother and her death when he was 16 was a severe blow to him. Dali was formally educated in art at the San Fernando Academy of Art in Madrid. However, he didn’t think much of his teachers and was expelled from the academy before he could graduate. Dali had a long and close relationship with Gala, who was his wife and his most important muse; as well as his greatest passion and his business manager. Known as much for his genius as for his bizarre behavior and exhibitionist tendencies, Salvador Dali was one of the most colorful personalities of the 20th century. Know more about his family, life, marriage, career and death through his biography. Salvador Dalí was born Salvador Felipe Jacinto Dalí y Domenechon on May 11, 1904 in Figueres, a town in Catalonia, Spain. His father, Salvador Dali Cusi, was a middle-class lawyer and notary; and his mother Felipa Domenech Ferres belonged to a family that decorated and designed objects of art. 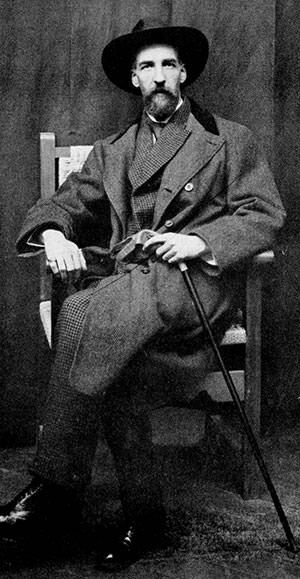 Salvador Dali had an older brother, also named Salvador, who died nine months before Dali was born. 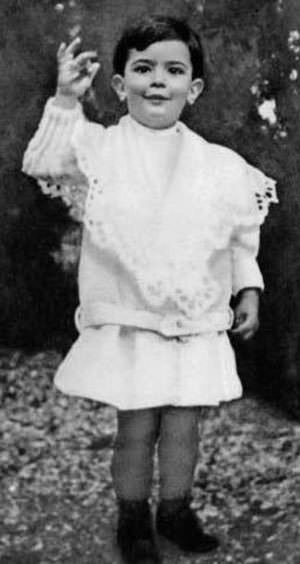 Three years after the birth of Salvador, in 1908, a girl was born to his parents whom they named Anna Maria. Anna Maria Dali, Salvador’s only surviving sibling, went on to write a book about her brother which was titled Dali as Seen by His Sister. Salvador, as a child, was dreamy, imaginative, spoiled and self-centered. He was prone to fits of anger against his parents and schoolmates. Also, he would spend hours in the wash-house and laundry room of his home in solitude. In the classroom, he would stare at the stains on ceilings as if they were images. Salvador feared his father, who was known for his bad temper. The elder Dali didn’t tolerate his son’s sudden outbursts and eccentricities; and severely punished him. In contrast, Salvador had a very close relationship with his mother, who pampered him and was kind towards him despite his eccentricities. In 1921, Salvador’s mother, Felipa, died of breast cancer. He was just 16 years of age at the time. Later Dali said his mother’s death “was the greatest blow I had experienced in my life.” Felipa’s death didn’t improve Salvador’s relationship with his father and they continued to have differences throughout their lives, until the elder Dali’s death in 1950. At the age of four, the young Salvador began his formal education at public school in Figueres. He disliked school and spent his time at school daydreaming instead of studying. Two years later, displeased with his son’s progress, Salvador’s father transferred him to a private school, the Hispano-French School of the Immaculate Conception in Figueres. Salvador spoke Catalan at home and was also learning Spanish. It was at his new school that he learned French, the language he would use as an artist. The Dalis spent their summers in the seaside town of Cadaqués. It was at Cadaqués that Dali’s leaning towards art first revealed itself as he studied art with a family friend, Ramón Pichot, who was primarily an Impressionist artist. Inspired by Pichot, Salvador began painting landscapes, locales and portraits that were Impressionist or Post-Impressionist in style. By 1919, at the age of just 14, the young artist had his first public exhibition, at the Municipal Theatre of Figueres. Ramón Pichot was a mentor to Dali throughout his youth, and it was he who persuaded Dalí’s reluctant father to allow his son to apply for admission at the Real Academia de Bellas Artes de San Fernando (San Fernando Academy of Art) in Madrid. In 1922, Salvador Dali enrolled at the San Fernando Academy of Art. However, the following year he was expelled from the academy for criticizing his teachers and for allegedly starting a riot among students over the academy’s choice of a professorship. Salvador then returned to Figueres and became a student of Juan Núñez, who taught him the technique of etching. In 1924, Dali returned to Academia de San Fernando where he was asked to repeat a year. However, in 1926, shortly before his final exams, Dali was expelled from the academy for good due to his declaration that no member of the faculty was competent enough to examine him. During his time at the San Fernando Academy of Art, Dali felt that he learned more about the latest developments in the world of art from avant-garde art magazines than from his teachers, who he felt were out of touch with the latest art trends. Dali experimented with several painting styles, primarily Cubism, Futurism and Purism, which he learned about through reproductions in art journals. At the academy, Dali also encountered some of the shaping influences on his style as an artist. Dali experienced success in the Spanish art world. He began showing his work in galleries in Barcelona and Madrid. In 1925, he had his first solo exhibition that attracted attention from established artists like Pablo Picasso and Joan Miró. At the academy, Dali also established close relationships with several of his fellow students, who with time became leading intellectual and artistic personalities. These included Federico García Lorca and Luis Buñuel, artists with whom Dali would later collaborate. Following his dismissal from the academy, Dali continued to exhibit with the Catalan avant-garde but the Catalan art community became horrified with his graphic depictions and as a result the art galleries in Madrid and Barcelona began to exclude him from their exhibitions. Around this time, Dali took a life-changing trip to Paris. 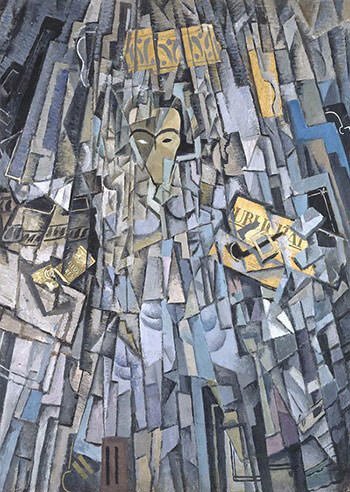 He visited Pablo Picasso in his studio studying his Cubist works. He also became interested in the psychoanalytic concepts of Sigmund Freud. Surrealism was an influential art movement whose artists rejected rationalism and literary realism as they believed that the rational mind repressed the power of the imagination. They instead tried to channel the unconscious mind to unveil the power of the imagination. 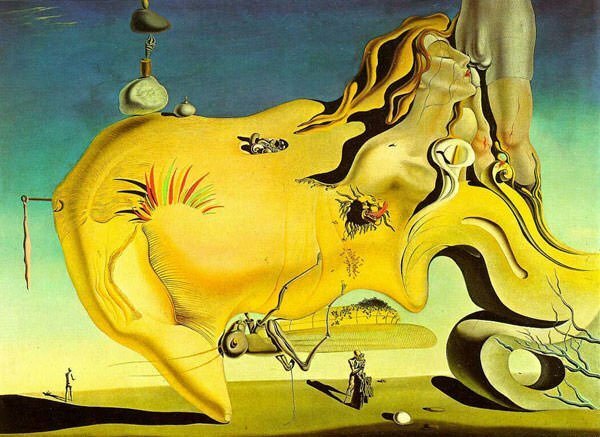 Salvador Dali found resonance in the works of the various Surrealist artists and writers like René Magritte, Max Ernst and Jean Arp. Also, Freud’s psychological view that one’s fantasies shape their dreams and delusions fascinated Dali and became the pivot for his forthcoming work. 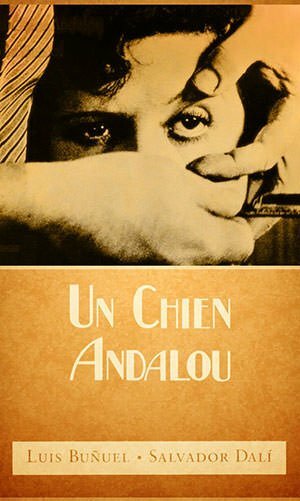 In 1928, Salvador Dali, along with his friend, the Spanish director Luis Bunuel, created a Surrealist short film titled Un Chien Andalou (An Andalusian Dog). This outrageous film was composed as an incoherent dream with striking and shocking imagery – like that of a man wielding a razor against a woman’s eye. The film was original and shocking; and it was lauded by avant-garde critics. The widespread acclaim for the film elevated Dali and Bunuel to international fame and brought Dali to Paris. This was the turning point of Dali’s career bringing him to the forefront of the Surrealist movement. After the success of Un Chien Andalou, the Surrealists considered recruiting Dalí into their circle. In 1929, among the Surrealists who visited him at Cadaqués were Belgian Surrealist artist René Magritte and his wife Georgette; as well as French Surrealist poet Paul Éluard and his Russian-born wife, Helena Diakanoff Devulina, better known as Gala. 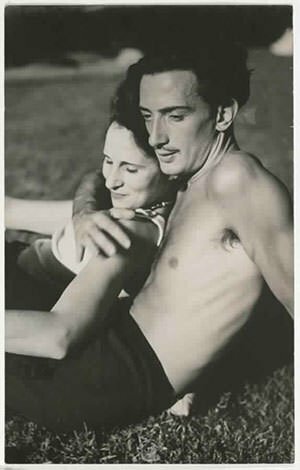 Even though she was nine years his senior and already married, Dalí and Gala began having an affair shortly after they met. 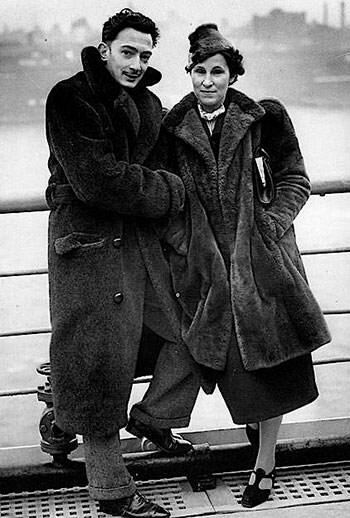 When Gala’s husband and the others left Cadaqués, she stayed behind with Dalí. They then moved together to Paris. Intrigued by his manic intensity, Gala took to Dali just as he did to her and soon she became his muse. After living together since 1929, Dalí and Gala married in a civil ceremony on 30th January 1934 in Paris. They had a long and successful relationship. Gala was Dali’s lifelong companion; constant and most important muse; as well as his greatest passion and his business manager. She appeared in Dali’s work numerous times, often depicted as a religious figure. For instance, she is the Blessed Virgin Mary in Dali’s painting The Madonna of Port Lligat. In 1929, Salvador Dali came into his own with his distinctive works, The Enigma of Desire and The Great Masturbator. These paintings were stamped with originality and the ability to shock; hallmarks of the Surrealist school of art. In the decade that followed, Dali rose to his prime creating a series of works that looked into his fears, phobias, fantasies, obsessions, paranoia and anything else that belonged to the unconscious or subconscious. In 1931, Dali produced his most famous work The Persistence of Memory, which is considered one of the greatest masterpieces of 20th century art. 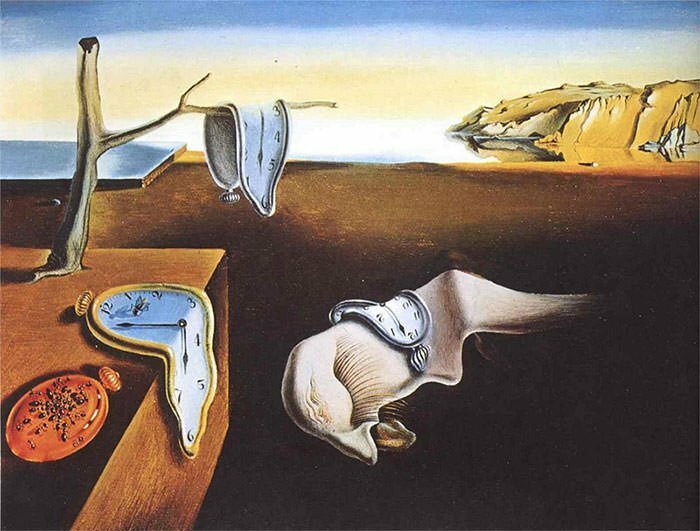 By 1933, Salvador Dali had become the most prominent figure of the Surrealist movement. In 1934, he had as many as six solo shows across New York, Paris, Barcelona and London. 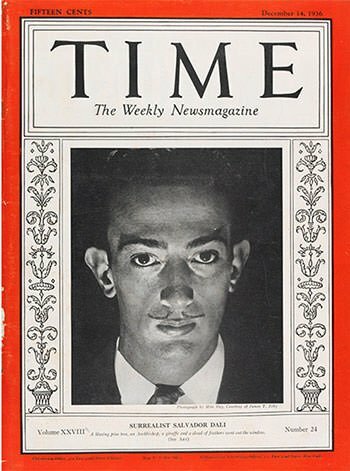 In 1936, Dalí, at 32, made the cover of Time magazine. However, the more successful Dali became, the more his exhibitionist tendencies erupted. Among other things, he confessed that he dreamed of Adolph Hitler “as a woman” whose flesh “ravished me”; and he delivered a lecture in a diving suit in a bid to imply diving into the subconscious. This bizarre behavior and his unwillingness to conform his activities to the Surrealist agenda led to Salvador Dali being expelled from the Surrealist group. Responding to this expulsion Dali famously retorted, “I myself am Surrealism.” Dali’s departure from the Surrealist group marked the end of his affiliation to any groups or movements; and he remained independent as an artist for the rest of his career. In 1940, as World War II started in Europe, Salvador Dali and his wife Gala moved to the United States. They lived there for eight years splitting their time between New York and California. During this period, Dalí became highly productive, expanding his practice beyond the visual arts into a wide array of other creative interests. He designed jewelry; clothing; furniture; sets for plays and ballets; and even display windows for retail stores. He also started to become more and more commercial in his pursuit, claiming that he had a mystical attraction towards accumulating dollars. In 1942, during his stay in America, Dali published his autobiography, The Secret Life of Salvador Dali. The atomic bombing of Hiroshima and Nagasaki brought about a new period of artistic exploration for Salvador Dali known as “Nuclear Mysticism”. He became fascinated with the powers of modern science and incorporated scientific elements into his art. He also became more interested in optical illusions and religion. Dali’s post World War II period was marked by technical brilliance combined with fantastic imagination. Inspired by science and religion, he created images depicting divine geometry, the DNA, the Hyper Cube and religious themes of Chastity. In 1948, after the end of the Second World War, Dali and Gala moved back into their house in Port Lligat, on the coast near Cadaqués. 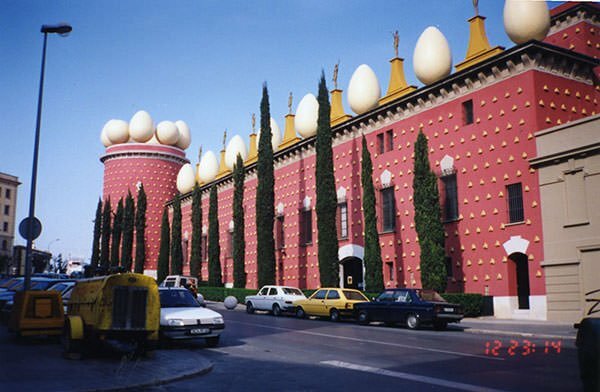 From 1960 to 1974, Dali dedicated much of his time to creating the Teatro-Museo Dali (Dali Theatre Museum) in Figueres. This museum displays the single largest and most diverse collection of works by Salvador Dali. Apart from his paintings, it contains his sculptures, three-dimensional collages, mechanical devices and other curiosities from Dali’s imagination. The last two decades of Salvador Dali’s life were difficult and mentally arduous. In 1968, he bought a castle in Pubol for Gala. However, from 1971, Gala stayed there for weeks at a time and Dali was only allowed to visit her by written invitation. The fear that Gala would abandon him contributed to his depression and decline in health. In 1980, Dali was forced to retire from painting as his hands began to tremble due to a motor disorder. On June 10, 1982, his beloved wife Gala died. These two events worsened the depression of Dali and he lost much of his will to live. In 1984, a fire broke out in his bedroom which caused him severe injuries. In November 1988, he entered a hospital in Figueres with a failing heart. On January 23, 1989, Salvador Dali died of heart failure at the age of 84. His funeral was held at the Dali Theatre Museum, where he was buried in a crypt. Salvador Dali had a long and prolific career during which he produced more than 1500 paintings. In addition, he also created illustrations for books; lithographs; designs for theatre sets and costumes; a great number of drawings; dozens of sculptures; and various other projects, including an animated short film for Disney. Dali is undoubtedly the most renowned Surrealist artist and he created some of the most famous artworks of the movement. Moreover, along with Pablo Picasso and Henri Matisse, Dali is widely regarded as one of the greatest artists of the 20th century. Salvador Dali became a source of inspiration for many modern artists including Damien Hirst and Jeff Koons. He also remains an icon in the popular media due to his eccentricities. Among other things, his manic expression and famous mustache have made him a flag-bearer for the bizarre and the surreal. Dali has also been portrayed in several films including Little Ashes (2008) and Midnight in Paris (2011). The Salvador Dalí Desert in Bolivia and the Dali crater on the planet Mercury are named for him.